February 15th was the first day on the job for our new Archivist, Tristan Evans. Tristan originally hails from Prince George, B.C., but has lived in California for many years. He brings to Chilliwack unique professional experience in the Archives field, as well as a track-record of applying the study of history to practical situations in diverse communities. Executive Director Matthew Francis recently had the opportunity to speak with Tristan, so we can all get to know him better. Tristan – you are originally from British Columbia, but have spent most of your life in California. How did you enjoy living, studying, and working in beautiful California? If you are ‘into’ the outdoors, Northern California is an excellent place to live. Within a two hour drive you have access to world class whitewater, mountain biking, hiking trails, backcountry skiing, and ocean surfing. I loved the year-round activities that Northern California provided. 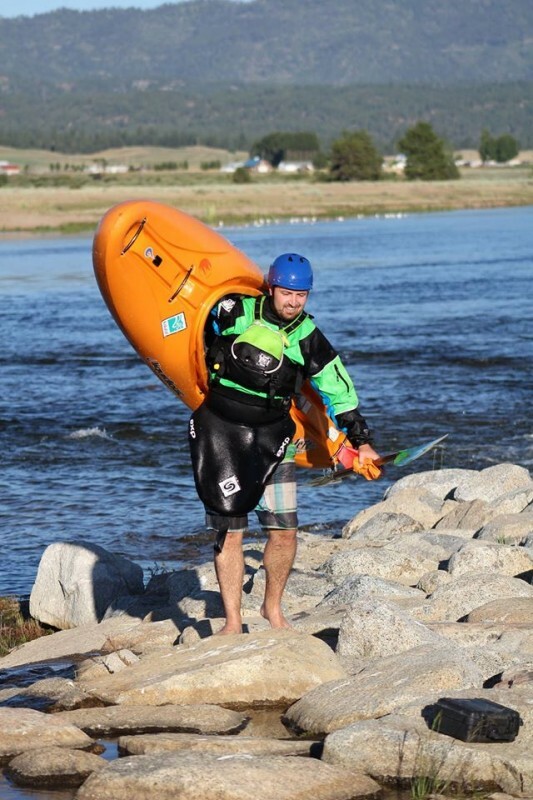 New Archivist Tristan Evans is an avid white-water sports enthusiast. I was fortunate to complete my undergraduate degree at the University of California, Davis and my graduate degree at California State University, Sacramento. Both of these schools have excellent history departments with courses that I found both challenging and rewarding. 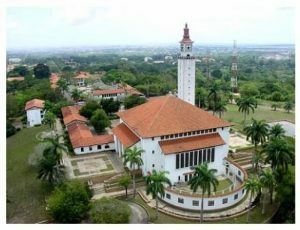 At Davis, I also had the opportunity to study abroad for one year at the University of Legon, Accra, Ghana. During this experience I really enjoyed working with the local Ga-Adangbe community as I did a case study on the impact of colonization within their community. What I found most stimulating about working in Northern California is the diversity of the jobs and institutions within the history field. Sacramento is home to the California State Archives, the Center for Sacramento History, several volunteer archives, and the special collections of the California State Library, Sacramento State University, and Sacramento City Library. Furthermore, there are several Cultural Resource Management and Historic Preservation firms from small to large. I always found it very interesting interacting with different professionals in the same field that had such different experiences. You have a background History, Cultural Resource Management, and a Master’s degree in Public History – what is “Public History,” and how did you get interested in the work of Archives? In short, Public History is any form of history that is applied outside of the classroom. A synonym for Public History that I prefer to use is Applied History. It is also sometimes referred to as community history. Areas of Public History include but are not limited to: Museum Studies, Cultural Resource Management, Historic Preservation, Archives, Oral History, History and Memory, and many more topics. My interest in Archives is actually very different than most Archivists. When I started the Public History program I thought I would follow a career in Cultural Resource Management (i.e. evaluating the built environment for evaluation on National, State, and Local Registers of Historic Places) and only took my first Archives class to help expand my research knowledge. However, after taking the class and processing my first collection at the Center for Sacramento History, I quickly learned that I really enjoyed the field and working with original documents. That collaborative spirit will serve you well as you work with our Museum and Archives team, as well as providing Archives services to the people here in Chilliwack! Tristan, you have Archives experience working in the California State Archives. What kinds of things did you do there? I worked as a Processing Assistant at the California State Archives. In this capacity, I processed three different collections of various sizes and wrote finding aids for each collection using archival standards. The first collection I processed was the California Assembly Agriculture Committee records. Next, I worked on the Tim Leslie Papers. This collection was unique in that it had over 200 audio-visual records in the form audio tapes, video tapes, and compact discs. However, the collection I most enjoyed working on was my third collection, the California Department of Social Welfare Records. To date, this is the second largest processed collection at the California State Archives followed only by the Governor Earl Warren Papers. Records from this collection stretched from 1903 to 1979. Because of the many departmental changes throughout the years, the collection consisted of two record groups, several sub-record groups, some sub-sub record groups, almost 200 different series, multiple sub-series, and even some sub-sub series. It was an extremely challenging collection. Learning about the transformation of social services in California was fascinating. I believe that the records in this collection are truly unique and I am very proud of the fact that I helped improve access to these records for future researchers. You also worked closely with Indigenous communities in Northern California. How might that experience inform your work in Chilliwack? Previously I had the honor to work for the United Auburn Indian Community (UAIC) as the Cultural Resources Assistant. I worked under the Tribal Historic Preservation Officer and consulted with State and Federal agencies as an Architectural Historian for the Community with regards to Traditional Cultural Properties and Traditional Cultural Resources. Naturally, working in the Preservation Department at UAIC, I worked with community members every day. It is hard to quantify the special experience that I acquired while working for UAIC. The understanding that I gained in this position will reflect many of the decisions that I will make at the Archives. If you could share one thing with people about the value of community Archives, what would it be? As a Public Historian, I think that community Archives reflect the soul of a community. Only in a community Archives will you find information on local individuals, local buildings and properties, local points of interest, and of course, local history. These records often get lost, underutilized, or deemed too unimportant in larger organizations. You have only been in Chilliwack a few weeks now, and arrived during an ice-storm! Apart from your work, what kind of things are you looking forward to discovering and doing here in Chilliwack? I have been told that Chilliwack is a great place to live if you are in to the outdoors. For this reason I made sure to bring my kayaks, mountain bike, stand up paddleboard, skies, snow shoes, and snowboard. I am really excited to take my kayak down the Chilliwack River and explore the Tamahi rapid as well as the sections upstream. I am also looking forward to mountain biking on Vedder Mountain and exploring the many hikes in the area. When the weather warms up I will contact the Chilliwack Crusaders rugby club. Thanks, Tristan, for taking the time to introduce yourself! Welcome to the Chilliwack Museum and Archives team. Tristan Evans is the Archivist at the Chilliwack Museum and Archives. The Archives are located at Evergreen Hall, 9291 Corbould Street, in Chilliwack. We are open Monday, Wednesday, and Friday, 9:00am – 4:30pm, and Tuesdays and Thursdays by appointment. If you have any questions about locally significant historic records, or simply to connect with Chilliwack’s history, you can contact Tristan at [email protected] or by phone at (604) 795-5210 ext. 104.